During this time of year there is obviously a lot of talk about the Bible. As most people know the New Testament comprises four different Gospels written by anonymous authors 40 to 70 years after Jesus’ supposed crucifiction. Unfortunately we have lost all of the originals but only retained copies of copies of copies (and so on) which date back hundreds of years after they were written in all kinds of different versions (renowned Biblical scholar Professor Bart Ehrmann states that there are more versions of the New Testament than there are words in the New Testament). Just as a fun fact: there are many more Gospels but only those four were included in the official Bible. μέσα στο σκοτάδι φέγγει και το σκοτάδι δεν το κυρίεψε. For your convenience I provide you with the curated texts here: John, Luke, Mark, Matthew. ##     a package for computational text analysis. R Journal 8(1): 107-121. 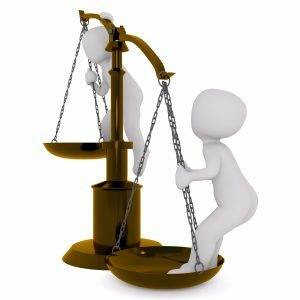 ## to see which variables are stored there and how to use them. 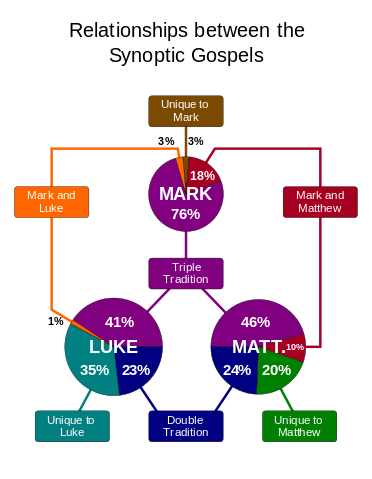 As you can see, Biblical scholars have found out that Luke and Matthew share about 60 to 70 percent of the text (through the so called double tradition), whereas Mark shares about 40 percent of the text (through the triple tradition). 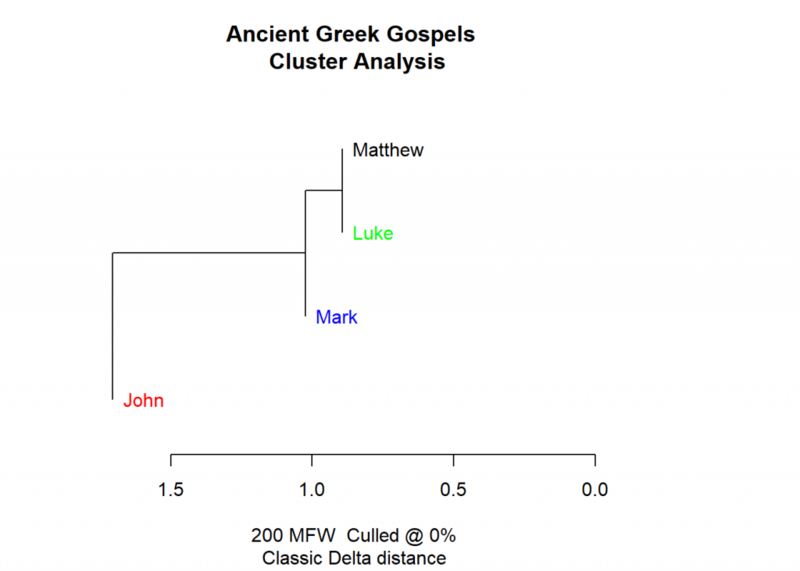 For comparison, John only shares about 10 percent with the synoptic Gospels. Now, this is exactly what our cluster analysis form above shows – what an impressive feat! It has never been easier to do sophisticated textual analyses, even in ancient languages one cannot understand! You might ask: how did R do that? Well, behind the scenes R basically creates frequency tables for the words used in the different documents. It then tries to cluster the documents based on a similarity (or distance) measure. Intuitively that means that the more often authors use the same words the closer their texts are. As you can see R doesn’t really have to understand the words or the language used. It just maps statistical measures which seems to be quite effective (not only) in this case. The statistical measures often give some kind of characteristic signature of an author or a source. In a way this is the quantified version of fuzzy concepts like ‘writing style’ yet R can do it much more quickly even for long texts than any human ever could! I want to draw your attention to a very valuable (and short!) whitepaper from my colleague, Professor Andrew Ng, where he shares important insights on how to lead companies into the AI era. Artificial intelligence: What is the best way for companies to innovate? …and now for something completely different: like every year Christmas arrives totally unexpected! 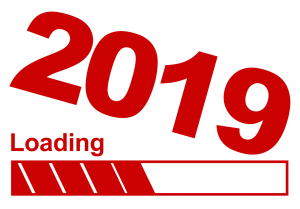 Author Learning MachinesPosted on December 20, 2018 December 21, 2018 Categories R, R-Bloggers2 Comments on Your AI journey… and Happy Holidays! Congratulations! You just encountered one of the big ideas of functional programming: functions are indeed like any other data type, they are not special – or in programming lingo, functions are first-class members. Now, you might ask: So what? Well, there are many ramifications, for example that you could use functions on other functions by using one function as an argument for another function. Sounds complicated? In mathematics most of you will be familiar with taking the derivative of a function. When you think about it you could say that you put one function into the derivative function (or operator) and get out another function! In R there are many applications as well, let us go through a simple example step by step. To see the power of higher-order functions let us create a (numeric) matrix with minimum, first quartile, median, mean, third quartile and maximum for all 11 columns of the mtcars dataset with just one command! Wow, that was easy and the result is quite impressive, is it not! Here we used another higher-order function, sapply, together with an anonymous function. sapply goes through all the columns of a data frame (i.e. elements of a list) and tries to simplify the result (here your get back a nice matrix). This was just a very shy look at this huge topic. There are very powerful higher-order functions in R, like lapppy, aggregate, replicate (very handy for numerical simulations) and many more. A good overview can be found in the answers of this question: stackoverflow (my answer there is on the rather illusive switch function: switch). Principal component analysis (PCA) is a dimension-reduction method that can be used to reduce a large set of (often correlated) variables into a smaller set of (uncorrelated) variables, called principal components, which still contain most of the information. PCA is a concept that is traditionally hard to grasp so instead of giving you the n’th mathematical derivation I will provide you with some intuition. Basically PCA is nothing else but a projection of some higher dimensional object into a lower dimension. What sounds complicated is really something we encounter every day: when we watch TV we see a 2D-projection of 3D-objects! So what we want is not only a projection but a projection which retains as much information as possible. A good strategy is to find the longest axis of the object and after that turn the object around this axis so that we again find the second longest axis. Mathematically this can be done by calculating the so called eigenvectors of the covariance matrix, after that we use just use the n eigenvectors with the biggest eigenvalues to project the object into n-dimensional space (in our example n = 2) – but as I said I won’t go into the mathematical details here (many good explanations can be found here on stackexchange). To make matters concrete we will now recreate the example from the video above! 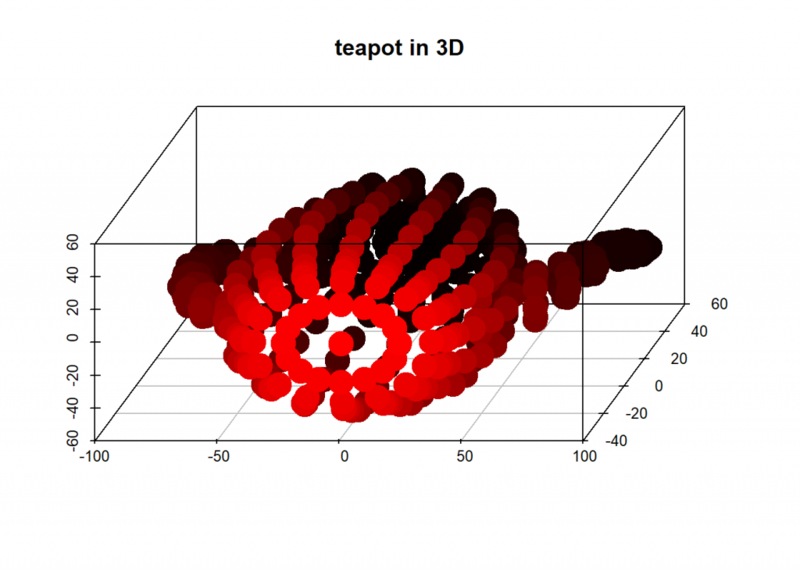 The teapot data is from https://www.khanacademy.org/computer-programming/3d-teapot/971436783 – there you can also turn it around interactively. That was fun, wasn’t it! In data science you will often use PCA to condense large datasets into smaller datasets while retaining most of the information (which means retaining as much variance as possible in this case). PCA is like clustering an unsupervised learning method. 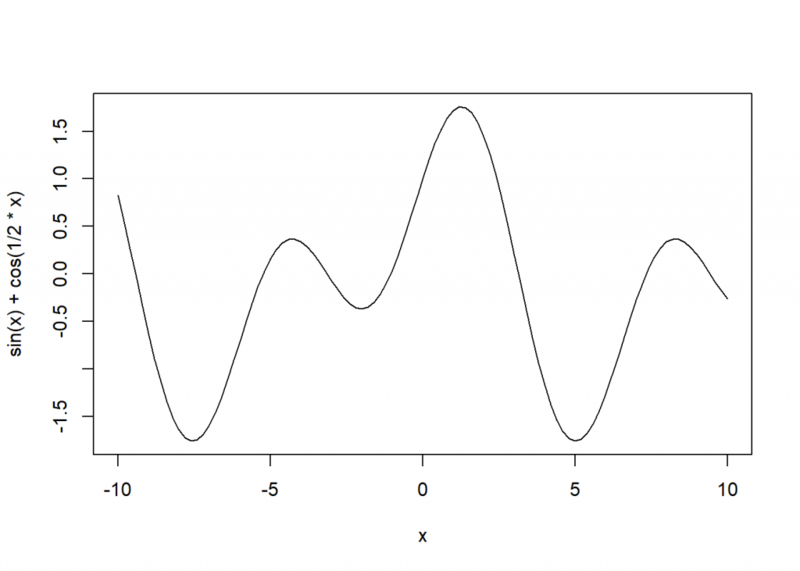 Why R for data science – and not Python? There are literally hundreds of programming languages out there, e.g. the whole alphabet of one letter programming languages is taken. In the area of data science there are two big contenders: R and Python. 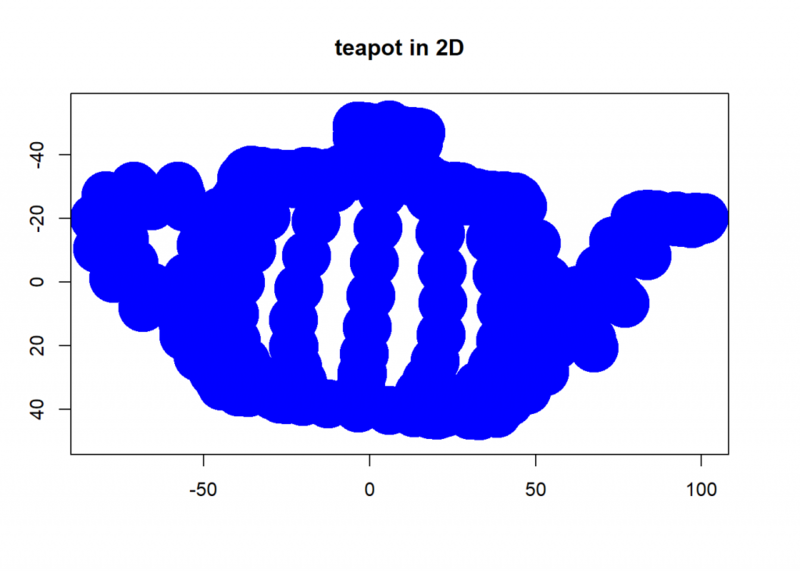 Now why is this blog about R and not Python? It starts with which version to use! The current version has release number 3 but there is still a lot of code based on the former version number 2. The problem is that there is no backward compatibility. Even the syntax of the print command got changed! The next thing is which distribution to chose! What seems like a joke to R users is a sad reality for Python users: there are all kinds of different distributions out there. The most well known for data science is Anaconda: https://www.anaconda.com/. One of the reasons for this is that the whole package system in Python is a mess. To just give you a taste, have a look at the official documentation: https://packaging.python.org/tutorials/installing-packages/ – seven (!) pages for what is basically one command in R: install.packages() (I know, this is not entirely fair, but you get the idea). There are several GUIs out there and admittedly it is also a matter of taste which one to use but in my opinion when it comes to data scientific tasks – where you need a combination of on-line work and scripts – there is no better GUI than RStudio (there is now Rodeo, free download here: https://www.yhat.com/products/rodeo, but I don’t know how mature it is). There is no general rule when to use a function and when to use a method on an object. The reason for this problem is what I stated above: Python wants to be everybody’s darling and tries to achieve everything at the same time. That it is not only me can be seen in this illuminating discussion where people scramble to find criteria when to use which: https://stackoverflow.com/questions/8108688/in-python-when-should-i-use-a-function-instead-of-a-method. A concrete example can be found here, where it is explained why the function any(df2 == 1) gives the wrong result and you have to use e.g. the method (df2 == 1).any(). Very confusing and error prone. More sophisticated data science data structures are not part of the core language. For example you need the NumPy package for vectors and the pandas package for data.frames. That in itself is not the problem but the inconsistencies that this brings. To give you just one example: whereas vectorized code is supported by NumPy and pandas it is not supported in base Python and you have to use good old loops instead. One of the main reasons for using Python in the data science arena is shrinking by the day: Neural Networks. The main frameworks like Tensorflow and APIs like Keras used to be controlled by Python but there are now excellent wrappers available for R too (https://tensorflow.rstudio.com/ and https://keras.rstudio.com/). All in all I think that R is really the best choice for most data science applications. The learning curve may be a little bit steeper at the beginning but when you get to more sophisticated concepts it becomes easier to use than Python. Author Learning MachinesPosted on December 2, 2018 April 13, 2019 Categories R, R-Bloggers35 Comments on Why R for data science – and not Python?